The terms “plastic thermoforming”, “pressure forming”, and “vacuum forming” are all used to describe plastic forming processes. While similar, there are subtle and important differences in these terms and processes that may not be well known outside of the plastic manufacturing industry. Plastic Thermoforming is the generic broad label given to the plastic manufacturing process that heats thermoplastic sheet material (thermo) and then applies pressure or vacuum to form into a 3-dimensional shape (forming). Pressure and Vacuum Forming are the 2 most common plastic thermoforming manufacturing techniques, under the umbrella of plastic thermoforming. They differ primarily in the method of applying pressure/vacuum to transform the heated plastic sheet into the desired 3-dimensional shape. Process Description Sheet thermoplastic material is heated until pliable. 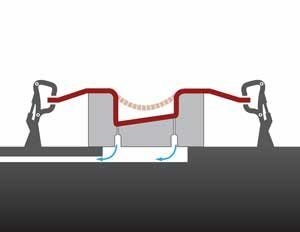 Positive pressure is then applied above the heated sheet, pressing the material into the surface of a mold to create the desired 3-dimensional part shape. Full Disclosure – The air under the sheet is also evacuated to assist in stretching the material over the mold, but the positive pressure applied is up to 5x greater. 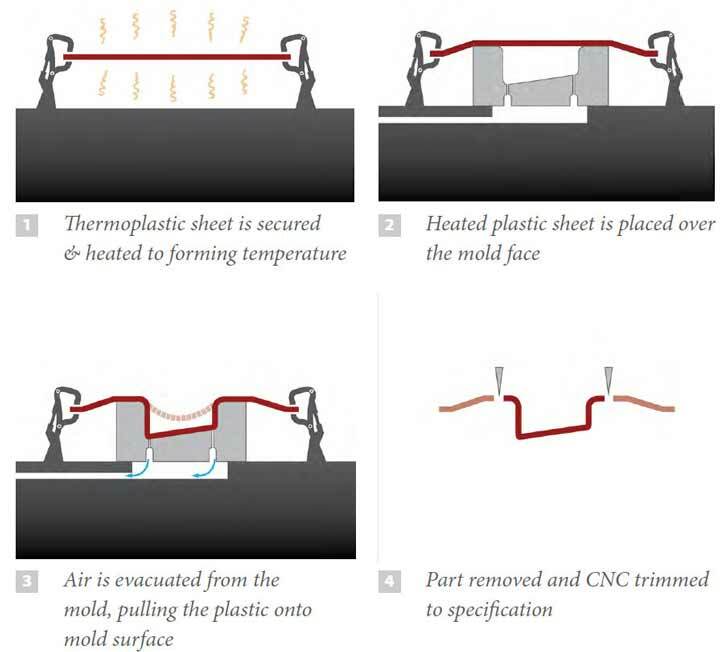 Sheet thermoplastic material is heated until pliable and placed over a mold. 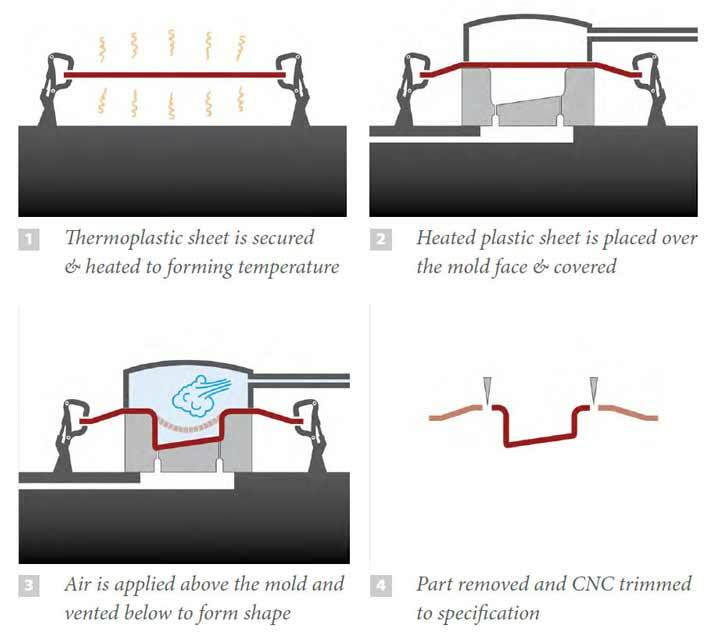 The air is then evacuated between the heated sheet and mold creating a vacuum that pulls the material onto the surface of the mold to create the desired 3-dimensional part shape. 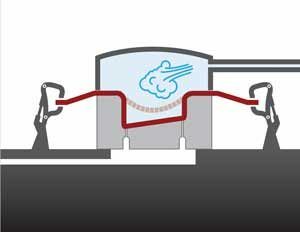 Watch a 1-minute video of a part being vacuum formed. In addition to pressure forming and vacuum forming, there are other methods, such as twin sheet thermoforming (to be covered in a future post), that give plastic thermoforming a vast portfolio of manufacturing capabilities that offer product solutions to a wide range of industries and applications. Plastic thermoforming often outperforms other processes and materials such as fiberglass (FRP) , metal, or injection molding. Want to learn more about which plastic thermoforming process is the right solution for your project?